I continue to be fascinated by the ships here in Kaohsiung. They are so important to the city, which holds an important position as the maritime capital of Taiwan. 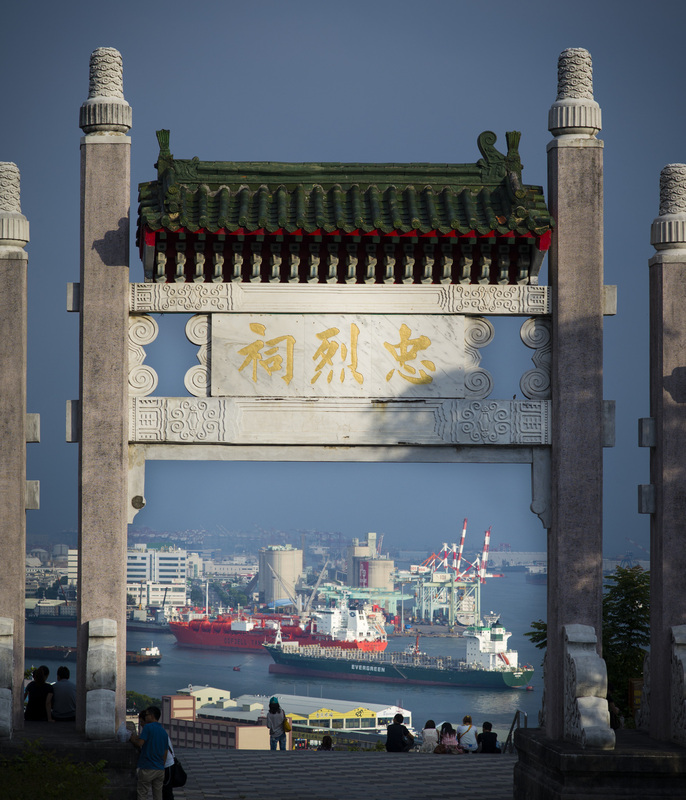 From the this point at ‘Kaohsiung Martyrs Shrine’ you can watch freighters passing by, framed by this ornamental gate. An exquisite scene at the start of the ‘golden hour’ light.